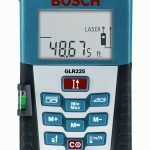 This Bosch laser measure uses a laser to measure the distance between an object and the device. It’s simple to use all you need to do is point the laser at the target, click a button and read the measurement on the display. 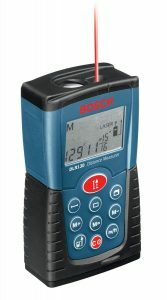 Bosch laser measure reviews are wonderful in the market as it is simple to use and easy to carry. The measurement can be taken both from the front and the back. The ends of the tool are square and flat. The user needs to register one of these surfaces alongside the mark of origin the measurement is to be taken from. For instance, you need to place the tool against one of the walls of the room which you need to measure. After which you can take a measurement from the back of the device that is pushed alongside the wall. 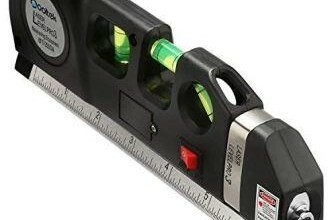 The Bosch DLR130K is one of the perfect laser level which is made for carpentry and construction. 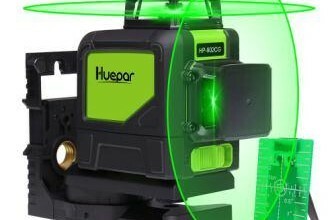 Measuring a wall happens within a few seconds and is much accurate than a measurement tape and the comfort with which a 15 feet wall gets measured make its one of the best laser measure to work with. You no longer require two people to measure walls precisely. Area: The tool shows the area got by two consecutive measurements. This mode is quite helpful for flooring contractors to get speedy definite estimates of a particular room. Lenght: The mode shows the length and has a range of 2” to 130 feet. Continuous: This mode keeping calculating the sum of all the measurements which have been taken. This mode comes in handy while making estimates for crown moulding or baseboards. Volume: After taking three measurements this mode reflects the volume of the room. Bosch DLR130K stores a single measurement in its memory, additionally the device will always show the last measurement that has been taken. This is helpful while chopping a wood, where you can cut the first piece and then on clicking the recall button you can cut the second piece once the measurement is displayed. The device can be run by 4 x AAA batteries and you can take as many as 30,000 measurements without the batteries having to die. The laser measure device has its batteries built-in. The Bosh laser measure is a very light instrument. The weight lies only in the batteries and the unit itself is very light and easy to carry around, it can even fit in a pocket. The device is sturdy but in a limited way, it can resist a few falls. The buttons look like they could wear out in a few years. Bosch has put in replaceable batteries in the device which seem to be quite durable and long lasting. It is an economical device and your money well-spent if you purchase it. The Bosch DRL130K has a range of 2” to 130 feet which is decent enough for measuring distances within a house. Moreover the measurements displayed are accurate and you need not to worry about your calculation going wrong. The Bosch DLR 130K displays the similar measurement whenever you measure the same object which is very comforting. The device gives an accuracy of +/-1/16”. In contrast to the tape measures, the Bosch DLR130k’s accurateness is not pretentious by temperature. It will show the same distance measurement whenever you measure. While taking a measurement it is important that the laser is analogous to the floor. It sometimes gets difficult to look for the right alignment on the surface if there are no reference points. If you are working in a home where there are more of solid objects and squared corners Bosch DLR 130K is a boon for you. 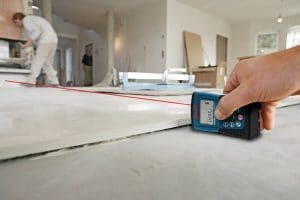 Normally while using a measurement tape you need to move the tape across the wall in segments but this device will do it for you in some seconds with a touch of a button. Digital world of measures are amazing. The Bosch DLR 130K doesn’t seem to function properly in the cold weathers. The keys of the device feel mushy. While most of the other competitors use two batteries for the same featured product Bosch is using four. Question: Can the device be used to measure in the night in a dark or shinny areas? Answer: Since there is no backlight you can take the help of a flashlight or a mobile torch while operating the device in low-lit areas. Question: Can it be used at home? Answer: Yes the device can be easily used to measure homes. Question: Can it be used to measure inches, meter and wide? Answer: Yes the Bosch DLR 130K has been programmed to do so and you can measure in both inches and meter and also the width. Bosch DLR 130K reviews in the market are extremely good and has many customers swearing. This is a best laser measure for you to use with ease. 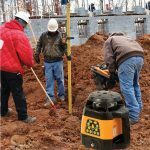 It is light and handy for you to move around the job place easily and take the required measurements. A click sound after every measurement that you take is helpful while holding it against surfaces which are hard to reach. The screen is well lit with a green colour for you to clearly see the displayed measurement. The unit is dust and water proof and also sturdy while it falls so the term drop proof can also be used for this device. Not all laser measures offer to measure very small distances but DLR 130K measures really close objects with ease. The company offers a pouch with Velcro attached for you to hook on to your belt and move around while walking hands-free. 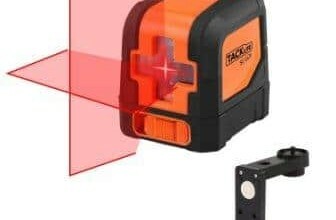 Over all DLR 130K is one of the best laser level which you can avail in the market with so many good features at a wondrous price.